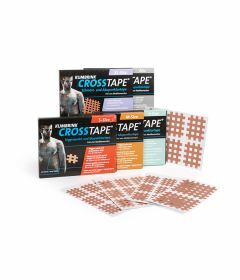 Shop your Kumbrink-Crosstape here. Used for local points of pain, trigger points, tense muscles, painful joints, headaches, painful scars and many more indications. Clinical acupuncture accessories : Sharp containers, stanhexidine, gloves, electronic devices, Acuball, Crosstape, etc. OrthoCanada carries acupuncure needles, dry needling needles: Seirin Needles, Dong Bang Needles, APS-Agupunt Dry Needles, TeWa Needles and TeWa Dry Needles.